Raphael Ajatta, popularly known as Mr. Raph has made another unique and outstanding release of an album titled "Wonder". The nature, quality and the distinctive Afro Pop style of his music makes the difference. 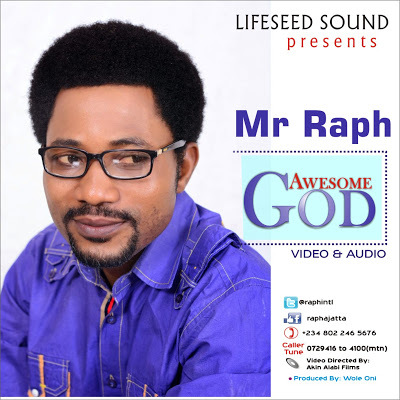 Mr Raph's music carries a taste of traditional African culture. It has inspired many lives in Nigeria, across Africa and beyond Africa. This track, "Awesome God", produced by the multi talented award winning producer, Wole Oni, represents the true value of praise. It is lyrically arranged to give spiritual edifications to the listener. The video was directed in Dubai (UAE) by Akin Alabi Films, one of the most outstanding video directors in Nigeria. Be sure to get the "Wonder" album as it is fully loaded to bless, refresh and entertain.